Tennis Planning Consultants, Inc. (TPC) provides services to plan, design/re-design, evaluate, develop, consult, and assist owners and architects in all aspects of unique, functional tennis projects and facilities. TPC specializes in both outdoor and indoor tennis court/facility design and consulting services. Established in 1970, TPC founders Jack Kamrath, Karl Kamrath, Sr., FAIA, Alfred S. Alschuler, Jr., FAIA, (click names to view biographical data) have planned, designed, engineered, supervised, or consulted on over 750 tennis projects of nearly every type for over seven decades throughout the United States and internationally. These include indoor and outdoor tennis clubs, planning communities, resorts, country clubs, university and high school facilities, municipal centers, and private courts. In addition to being experienced, competitive tennis players, our principals are leading tennis planners, designers, and consultants having over 160 years direct, combined experience in this field. This extensive combination of tennis and professional design experience is unique and essential to finding the best solutions to the numerous and varied challenges inherent in the evaluation and planning of each tennis project. One of the most respected and trusted names in the tennis industry, TPC offers award-winning quality, expertise, and extensive experience in tennis facility design, planning, and consulting. 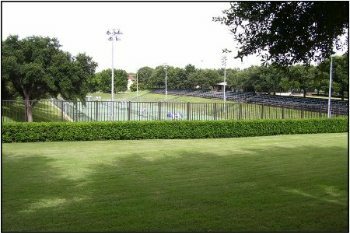 TPC also conducts tennis facility feasibility studies, demographic/market analyses, and construction/operating cost projections for new or expanded tennis projects. TPC’s feasibility and market studies have been the industry standard for over forty years and are conducted on a professional, independent, and objective basis to serve the client. Our philosophy at TPC is to provide expert tennis facility design and consultation services for owners and developers of tennis projects and tennis facilities of all types. We are the client’s representative operating as independent professionals to represent our client’s interests. Tennis Planning Consultants, Inc. wishes to extend to you a cordial invitation to visit with us. We are available to discuss how our specialized tennis facility design/consulting services can assist in accomplishing your tennis facility objectives. Click on photo to watch Inside Tennis video series on TCU and get a look at the TCU tennis facilities. top college tennis facilities (October 2015), and as an outstanding large tennis facility, 1988, 1998. The facility was designed by Jack Kamrath, President of Tennis Planning Consultants, Inc.